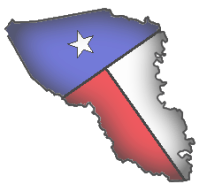 911 addressing in unincorporated areas of Austin county provides emergency responders with the location of residences, open pastures, businesses, and other structures. In the event of an emergency it is vital that the address sign is posted at the entrance to the property, clearly visible from the road. Address number signs are made in our office. They are durable 6' x 12" blue metal with reflective numbers. 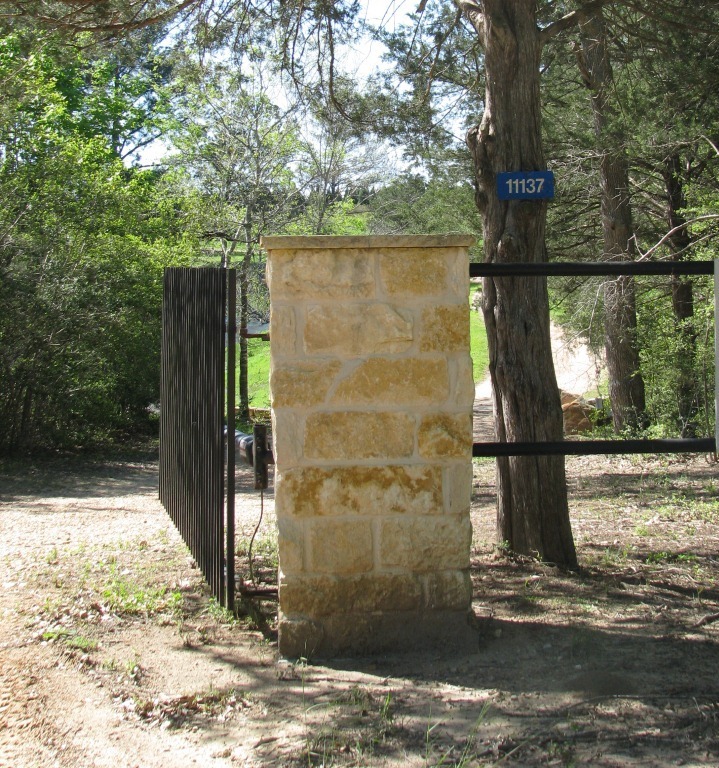 The initial address sign plate is free to all Austin County property owners. Replacement or additional signs are available at a cost of $9.00 per sign. If you have more than one residence using a single entranceway you will need to post signs at the road entrance and on each residence so there is no confusion for emergency responders. Address signs must be picked up at our office located at 842 W. Main St., Bellville. Emergency responders often rely on address signs when locating callers in need of their services. We ask that you call ahead to see if anyone will be available when you come in to pick up your address sign. 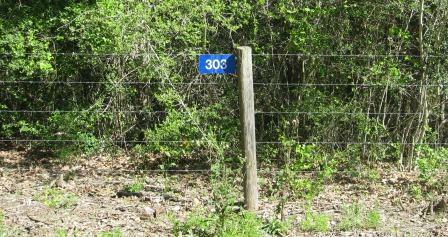 Address signs should be clearly visible from the road at the entrance to your property. The sign below is posted facing the road clearly marking the entrance. It is visible driving by the property from either direction. Address sign should not be posted on the gate. 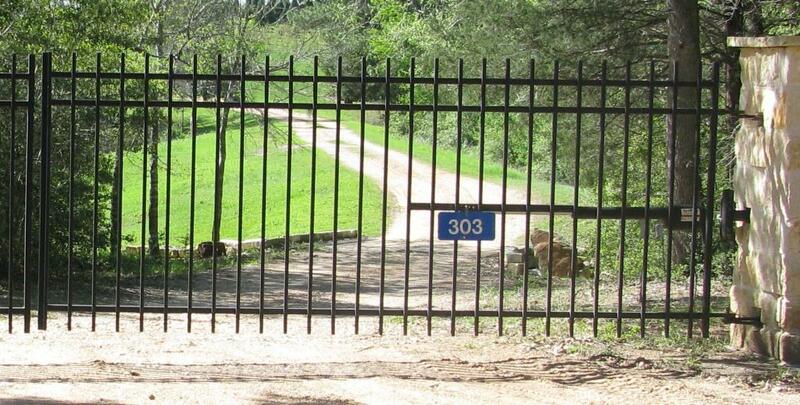 Chances are it will not be visible from both directions when the gate is open. 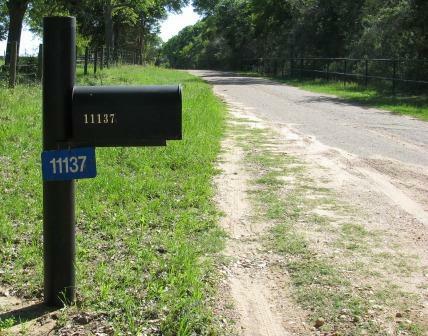 Address sign should not be posted on mailbox, especially if mailbox is located on opposite side of road from entrance. Signs should not be posted on fence wire. 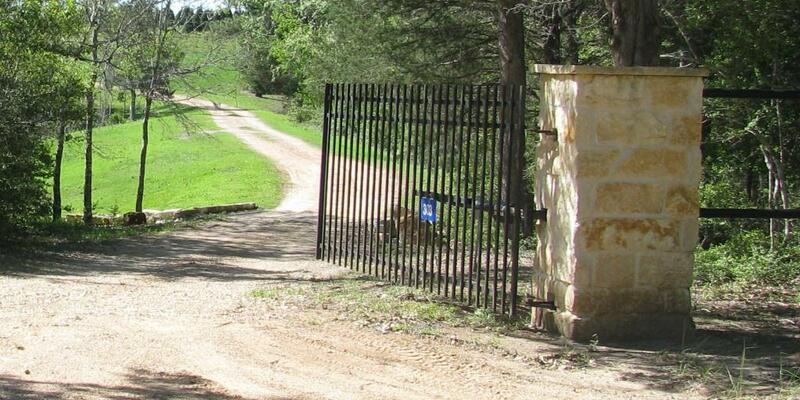 Instead, attach facing road on a permanent fence post at entrance. Signs attached behind fence or at height not easily visible from vehicle are not a good idea. Please call our office if you have any questions concerning where to post your address sign or if you need additional signs. Each year our office replaces approximately 100 road signs due to theft, vandalism, and accidents. Please help us reduce this cost to the public by reporting vandalism/theft when observed.